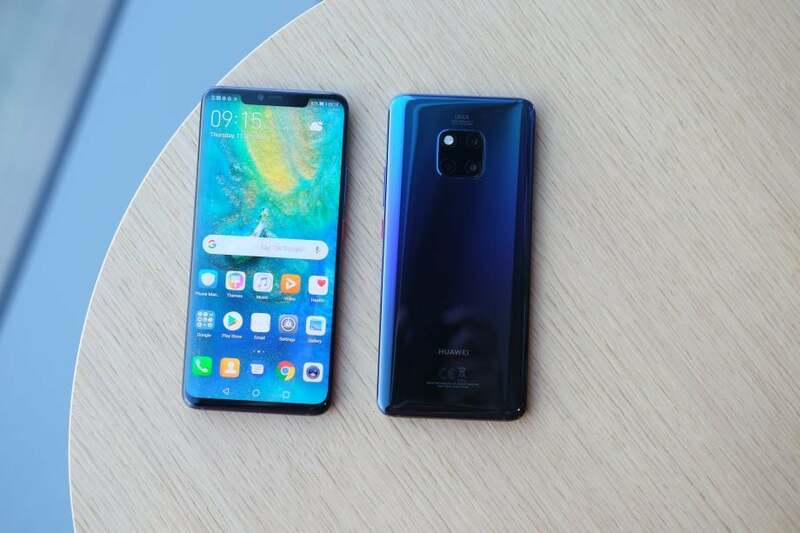 Costing more than the samsung Galaxy and only slightly less than the iphone Xs, the Huawei Mate 20 Pro is the company’s strongest shot at the big time yet. It’s a feature-rich device with three fantastic cameras on the rear, enough battery life to last multiple days and a design that’s up there with the best. 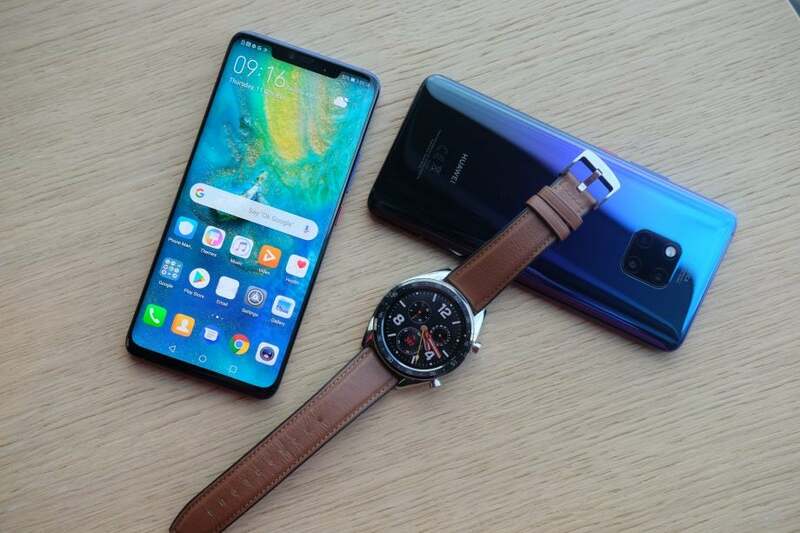 Huawei has the best from Apple and Samsung in its sights with its powerful, full-featured flagship – and it’s worth the cost, if you can stomach a four-figure pricetag. It’s a very nice-looking finish, it has benefit of not showing up fingerprints as badly as a plain gloss rear. Alas, it’s not available across all colours – the black and two-tone pink gold and twilight finishes, just like those on the P20 Pro, are gloss only and they do pick up unsightly fingerprints rather quickly. Whichever finish you choose, though, the Mate 20 Pro is every bit as modern as any other flagship smartphone. With curved edges at the front and the rear. The phone is also IP68 dust- and water-resistant and houses a sizeable 4,200mAh battery. Possibly the most interesting thing about it is the fingerprint reader. This isn’t on the rear or the side, or the below the screen on the front. It’s built into the fabric of the display itself, just below the centre. 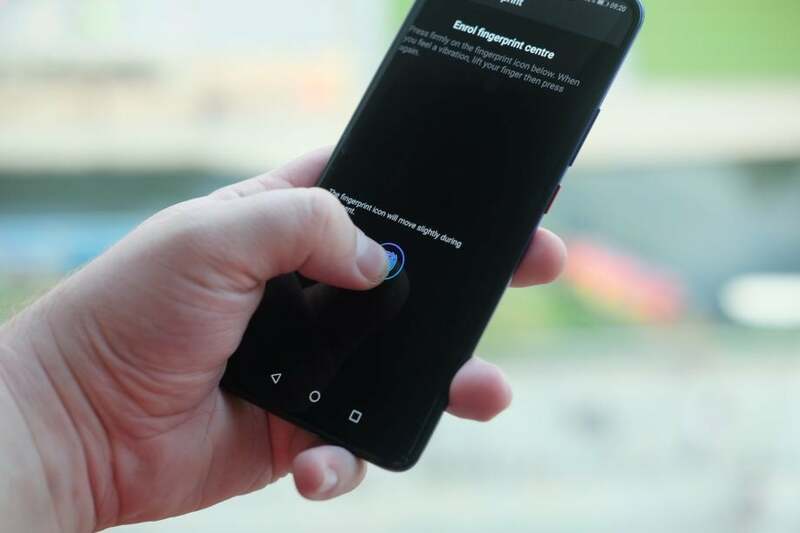 This in-screen reader uses pressure sensors to detect the presence of your thumb or finger and works, just like a regular fingerprint reader, to unlock the phone. It’s quick and largely reliable, but enrolment does take significantly longer than it does with a “normal” fingerprint reader. That’s if you use the fingerprint reader at all. You might find it quicker and more convenient to use the front-facing “3D depth sensing” infrared camera to unlock the phone with your face instead. the Mate 20 Pro is able to unlock the phone almost instantaneously, in all types of light. I’ve tested in the dark, with my face backlit, and in conditions more conducive to face unlocking tech and it worked flawlessly every time. There are a couple of things about the design that I do take issue with, however. There’s no 3.5mm headphone jack and no microSD storage expansion. It does support nano memory cards, but they’re pretty tricky to find. 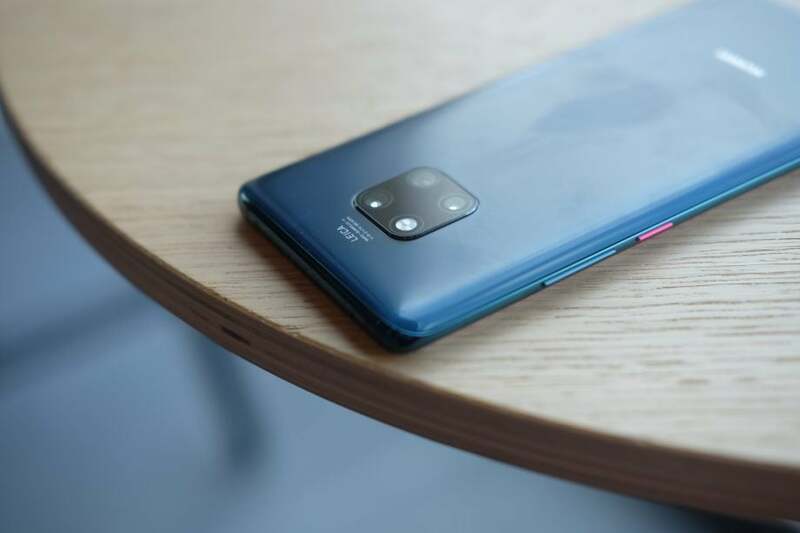 The P20 Pro’s triple camera array was a revelation when we tested it earlier in the year and in the Mate 20, Huawei has refined it even further. The phone still has three cameras on the rear. The primary snapper remains an incredibly high-resolution 40-megapixel snapper with a bright aperture of f/1.8. Even the telephoto camera has the same specifications: 8 megapixels with an aperture of f/2.2 and an optical zoom of 3x. Instead of the third camera just for black and white snaps the Mate 20 Pro has an ultra-wide angle camera. Activated by tapping the zoom control in the camera app until you reach “0.6x”, this shoots at the full-frame camera equivalent focal length of 16mm. Which means you can shoot large groups of people from up close without using panorama mode. Otherwise, image quality is every bit as good as it was with the Huawei P20 Pro. It’s exceptional in both good light and poor, and if you select the default 10-megapixel mode. The camera uses extra resolution from the primary sensor to allow a seriously impressive in-camera zoom of up to 5x. This isn’t strictly optical zoom but it outperforms the digital zoom of the iPhone Xs Max and the Pixel 3 XL at 5x. First impressions of the phone are of a mixed performance. On the one hand, it’s quick, slick and as responsive as any other smartphone. And it puts in a blinding performance in the benchmarks we use. 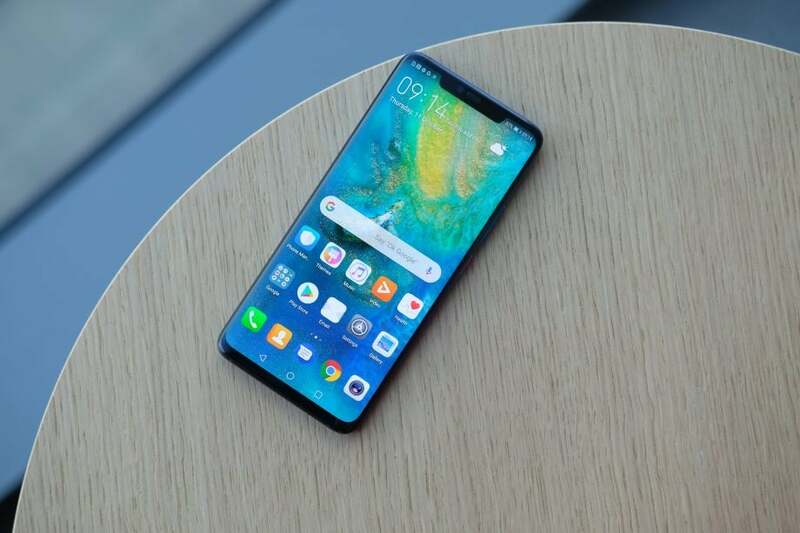 In fact, on paper, it looks like the Huawei Mate 20 Pro is the fastest Android phone around. Battery life is, thankfully, a little more impressive. The Huawei Mate 20 Pro put in the best performance I’ve yet seen from a Huawei handset, lasting 15hrs 21mins. Huawei’s aggressive battery management techniques which essentially proactively shut down background tasks that are deemed unnecessary. Battery life comfortably lasts a day and a half and longer with moderate use. Display quality is pretty good, too. The phone has a 1,440 x 3,120 AMOLED screen with perfect contrast and in Normal mode it reasonably colour accurate. Able to reproduce 95.4% of the sRGB colour gamut. Peak brightness is 466cd/m², it ensures the screen is readable in most conditions.